Everything you need for a cocktail recipe in one convenient pack. 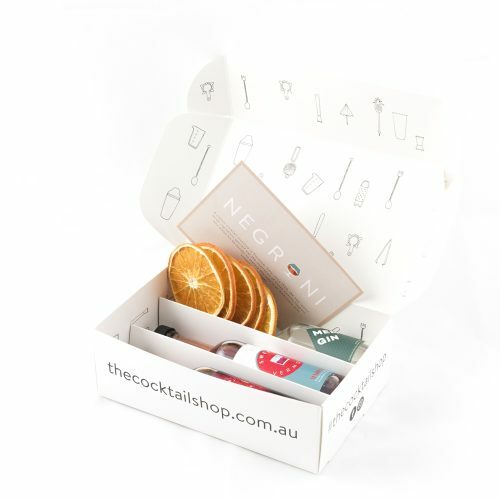 Our cocktail kits include alcohol, mixers and garnishes, along with a recipe card, to make it easy to mix great cocktails at home. Perfect for dinner parties and entertaining. They really knew how to live it up in the late 1800s, the flamboyant 19th Century credited for the invention of the cocktail. It was a spirited time in gin dens and dive bars where the alcohol was cheap, and the mixed drinks were strong. After a bit too much of a good thing, prohibition came along and all the fun got put on ice. Almost one hundred years later, there has been somewhat of a resurgence of the cocktail, and when bars and speakeasies became popular drinking holes again cocktails went back on the menu. Once a nation of beer and wine drinkers, our society finally emerged from the lengthy prohibition and stirred up a palate for spirits and mixed beverages. Today, our cocktail culture is in full swing and cocktails are essential to social imbibing. Cocktails would inevitably find their way out of bars and into our homes. With just a bit of practice, it’s Au revoir to the obligatory glass of wine or beer at the end of the day and Hello to something more exciting. Our cocktail kits enable you to shake and stir bar quality mixed drinks with the finesse of a bartender. 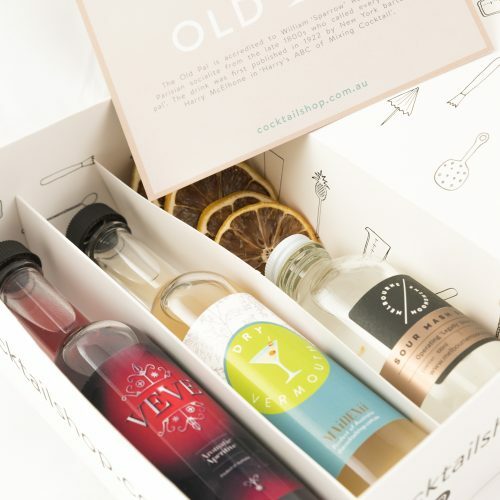 We carefully curate all the ingredients you need for a cocktail recipe, including instructions and at least four cocktails per pack, and deliver your cocktail kit straight to your door. Best of all you’ll try a variety of different cocktails and sample an array of premium, craft spirits from local producers, as well as find stylish barware on our shop so you have all the tools on hand. 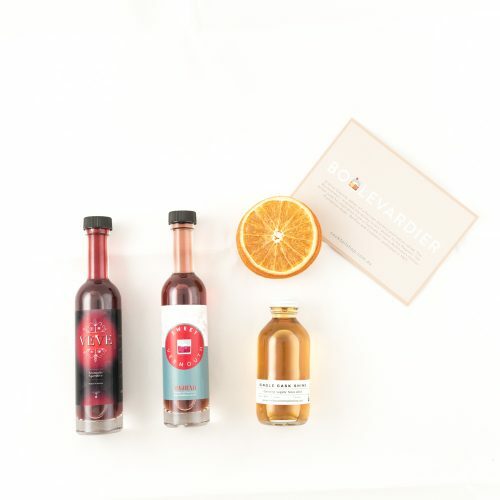 Find a new cocktail kit every month on The Cocktail Shop.